Dark Sol has vowed to reign over the enchanted Kingdom of Thornwood, and only you can stop him. Find the powerful Arms of Light and battle the deadly beasts that keep your people desperate and starving in this epic journey for peace. Roaming the dark Labyrinth, you'll seek out enemies and collect weapons, all of which will help you pass the test of the Ancients and become a shining knight. Get into the adventure with a stunning 3-D perspective, amazing cinematic views and fast-paced scrolling. You'll move from battle to battle, solving puzzles and discovering secret items in this engrossing struggle between good and evil. 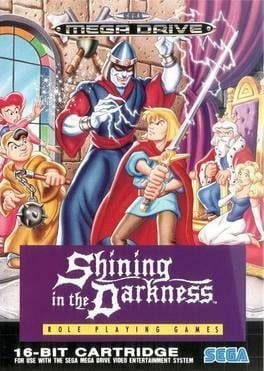 Shining in the Darkness is available from 2.49 to 2.49 from 1 shops.